BlackBerry announces two new phones for the US | BlackBerry Blast! BlackBerry has announced it will bring two new phones to the market this year. The company announced a full touchscreen BlackBerry Motion will be released this year, along with a new bronze colored KeyOne. The BlackBerry Motion is an Android phone that will be released on January 12th and sold through Amazon and Best Buy for $449.99. The phone will be GSM unlocked. The Motion sports a 5.5-inch display, a Snapdragon 625 processor, 4GB of RAM, 32GB of storage, and a 4,000mAh battery. The Motion currently runs Android Nougat, but will be updated to Oreo later this year. The BlackBerry KeyOne Bronze Edition is simply a bronze version of the black KeyOne. It has 4GB of RAM and 64GB of internal storage. The big news for the KeyOne is dual SIM support. 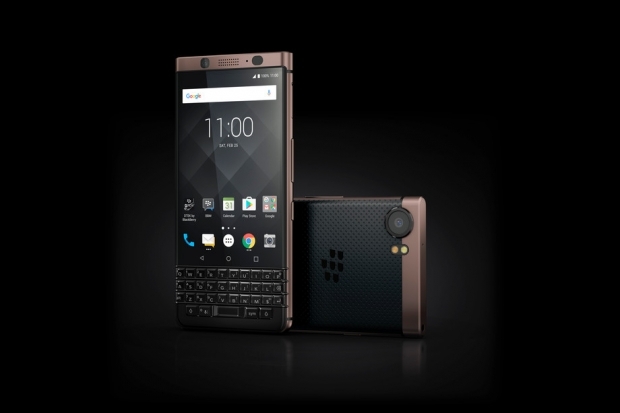 The KeyOne Bronze Edition will be released sometime in Q1 2018 in �select markets across Asia, Europe, and the Middle East.� Sorry US BlackBerry users.